Pictured Above: The Monarch with the class of new Prophets for October 2011. From left to right: Pro. Seth Anthony, Monarch; Pro. Daniel Colón; Pro. Brian Shaffer; Pro. John Croumer; Pro. Robbie Herman; Pro. Ken Harms; and Prophet Andy Moyer. 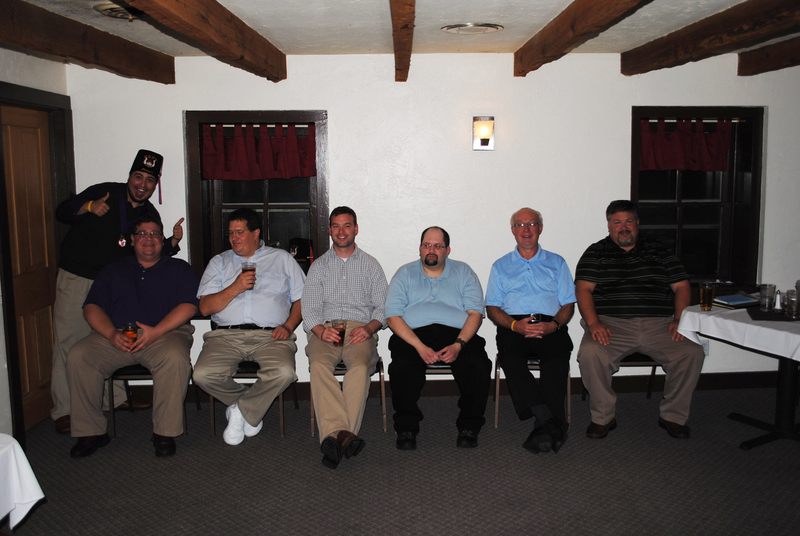 During the last stated meeting of Ubar Grotto, held October 9, 2011, six new Prophets were welcomed to the Realm. Under the direction of Pro. Allen Moyer, Secretary and Vizier Pro Tem for the evening, a short form Ceremonial was conducted to instill the virtues of Grotto in the members. Keeping with Ubar tradition, the dialog was performed as a “Readers Theatre” style ceremony, with nearly every member taking a part. Special note should be made of the excellent performances by Pro. Brent Richards, Tracy Bitner, and Tim Settlemyer. Wowing the crowd with a musical rendition of the Grand Chamberlain’s oration was Pro. Teddy Sizemore, who is thought to be auditioning for a new Ubar Glee Club Unit. We failed to find out if he could properly sing “Don’t Stop Believing” though. Congratulations and welcome to our new Prophets! 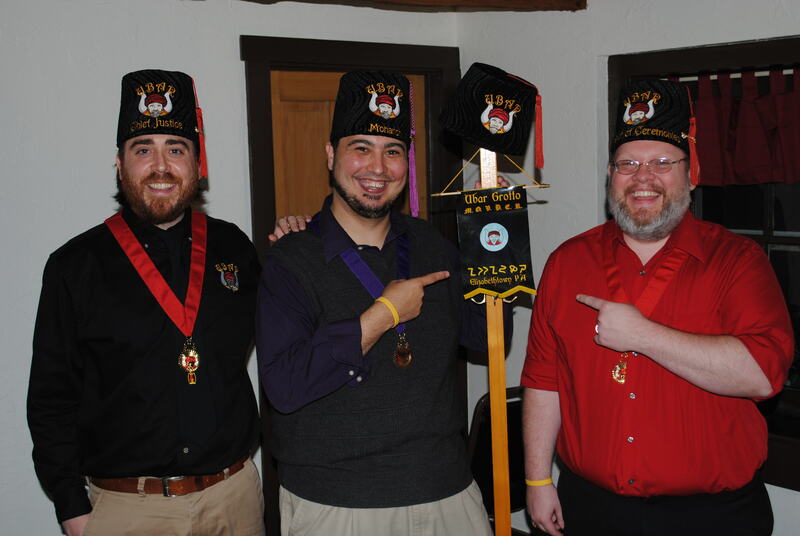 Ubar will be performing one final Ceremonial for the year during its November Stated Meeting, to be held November 13, 2011, beginning at 6 PM at the Lucky Ducks Bar and Grille in Elizabethtown, PA. We hope to see you there! ← We’re not in Kansas anymore!